Lilla Nell Winham was born September 17, 1930 at the Village of Alden Bridge, Louisiana, the daughter of Charles Benjamin and Emma Lou Winham. She changed her name to Lanelle after moving to the area in the late sixties. Lanelle was reunited with her husband of 51 years on his birthday, December 3, 2018. Lanelle supported the arts and enjoyed her time participating in the McCurtain Community Players. She was a supporter of the Museum of the Red River, the McCurtain County Historical Society and Arts and Humanities. She was a member and served officer positions in the Delta Kappa Gamma Alpha Epsilon Chapter and McCurtain County Retired Educators. She was a public educator for over 20 years and was honored as teacher of the year in 1980. 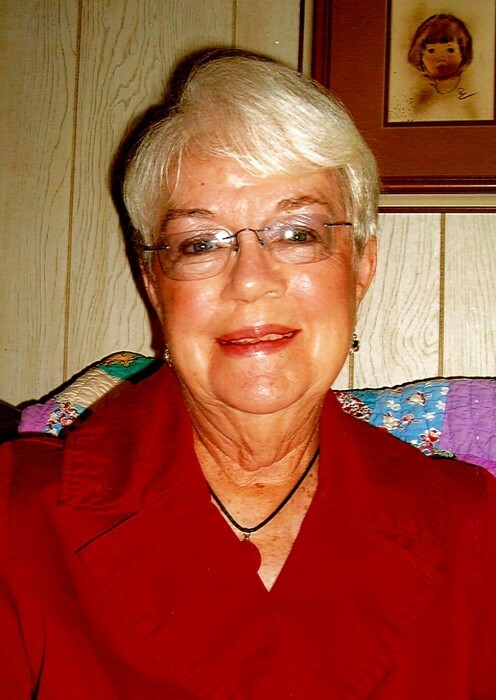 She loved playing golf with her many friends at the Idabel Country Club, singing and playing piano, staying busy and active at Pilates and Momentum. Lanelle will be dearly missed by her son, Eugene Strickland, Jr. of Idabel; daughter, Jan Skelton; grandchildren, Lindsey Jenkins and husband, Cole, Elizabeth Logan, Casey Logan, Grant Logan, Sara Kinnear, Amy Hampson and husband, Nick, and Jackson Kinnear; great-grandchildren, Whitlee and Trent Jenkins; son-in-law, Robert Kinnear; a host of other family members and friends whom she adored. She was preceded in death by her parents; husband, Eugene Strickland, Sr.; daughter, Beth Kinnear; brother, Ben Winham, Jr.; and sister, Joy Anderson. A memorial service to celebrate her life will be held at 10:00 a.m. Saturday, December 8, 2018 at the First Presbyterian Church in Broken Bow with Rev. Joyce Ludwig officiating. A fellowship time for family and friends will follow the service. Inurnment will be 2:00 p.m. Saturday, December 29, 2018 at Cottage Grove Presbyterian Church Cemetery at Plain Dealing, Louisiana. In lieu of flowers the family request that donations be made in her memory to one of these three organizations, First Presbyterian Church of Broken Bow, Goodland Children’s Home in Hugo or McCurtain County Treasured Chests. Full information is listed below for these organizations.